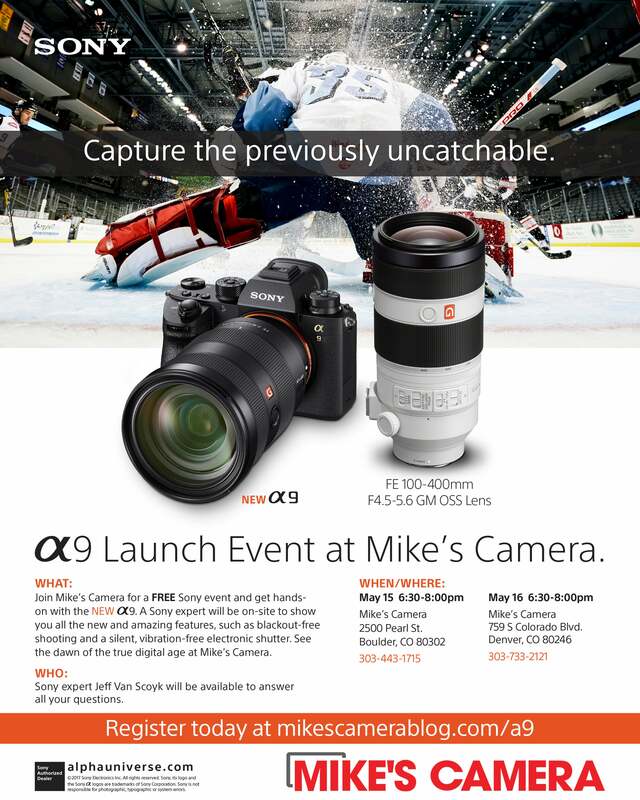 Join Sony at Mike’s Camera for this FREE event and get hands-on with the NEW Sony α9. Sony expert Jeff Van Scoyk will be on-site to show you all the new and amazing features, such as blackout-free shooting and a silent, vibration-free electronic shutter. See the dawn of the true digital age at Mike’s Camera. Wine, soft drinks and snacks will be served as Sony presents the ground-breaking α9 camera. This is a FREE event. Don't miss this exclusive sneak peek - register now!